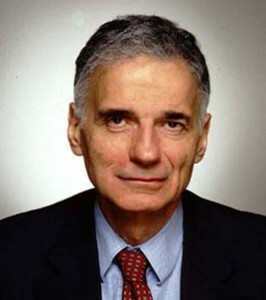 One measure of how high are the stakes in this years election is the degree of scrutiny Ralph Nader’s campaign is getting from Democrats and — through them, presumably — the media. An FEC audit might ultimately side with Nader. But the investigation into his office space is just the latest attempt to derail his candidacy. When the accused consultant demanded proof, the Republic reported that Pederson “said he had none but based the assertions on information from numerous sources.” Pederson also vowed to carefully scrutinize each of the roughly 22,000 petition signatures Nader received. The candidate needs 14,694 to get on the Arizona ballot, which would be his first state ballot of the 2004 campaign. But, as the London Guardian points out, “by a mixture of poor organisation and a late start Mr Nader has done a fairly good job of keeping himself off the ballot.” In Oregon, where Nader received 4 percent of the vote last election, the campaign could only get 741 voters to a nominating convention when 1,000 would have given him ballot access. Nader missed the deadline for ballot access in Texas, and is now suing the state over its requirements.